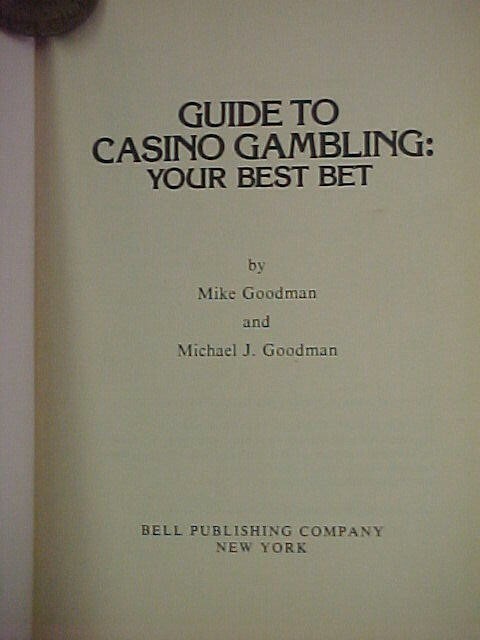 1945 Guide to Casino Gambling: "Your Best Bet" by Mike Goodman & Michael J. Goodman. A lot of insights a great book to add to gambling collectibles. 1945 Guide to Casino Gambling: "Your Best Bet" by Mike Goodman & Michael J. Goodman. A lot of insights a great book to add to gambling collectibles. Please email cowboyron@cowboycabin.com with questions or call 406 270-2842.